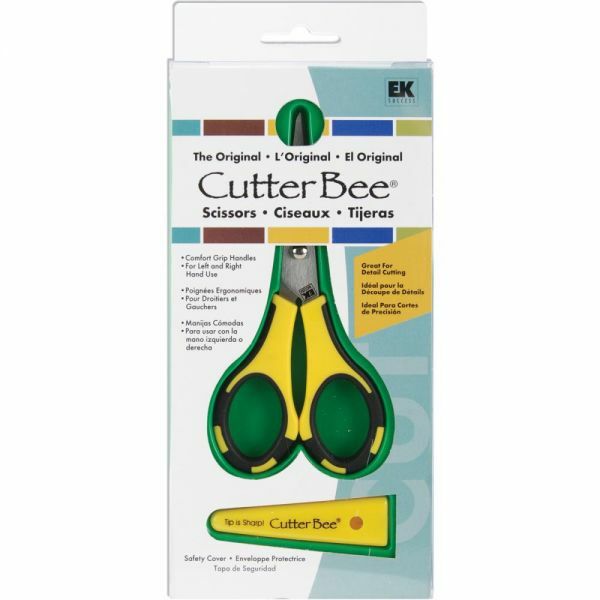 Cute and compact scissors for detail cutting. The precision-ground tips cut up to the tip. The unique comfort-grip handle is easy on hands. For left-handed and right-handed use. 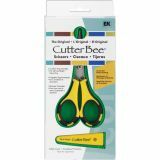 Cutter Bee Scissors 5" - EK SUCCESS-Cutter Bee Scissors. 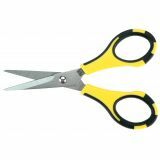 These pointed tipped scissors feature a comfort grip handle for left handed and right handed use and are great for cutting neat and perfect details in foam, paper, vellum, photos and more. This package contains one 5in pair of scissors with a snap-on plastic tip protector. Imported. Includes protective, snap-on safety cover.